JOIN CONTEST NOW!Click here to download contest form. The Promotion starts on 1st April 2019 and closes at on 30th June 2019. 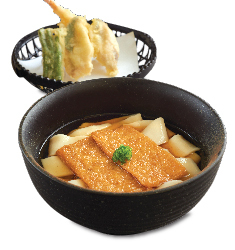 The Promotion is open to all Sushi King customers of aged 18 years and above as at the start of the Promotion Period. Incomplete, faded, dwindled, receded and feeble form of the Proof of Purchase shall be disqualified automatically without any notification. Incomplete, illegible, late or inaccurate Entry Form(s), Entry with incorrect answer(s), duplicate/wrong/insufficient receipt as Proof of Purchase shall be disqualified automatically without any notification. A total of fifty  participants are set with a multiple of Z will be declared as the Consolation winners. The rounding formula will be performed if the winning number of entries arises the decimal value, the number will be rounded to the nearest single digit number and the multiple serial numbers will be selected as the winner. 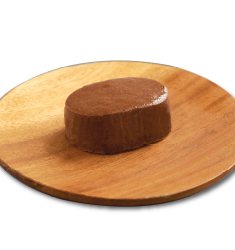 Each participant is eligible to win only one (01) prize during the Promotion Period. This Schedule to Conditions of Entry must be read together with the Conditions of Entry that can be obtained at (https://sushi-king.com/promotions/), collectively “Terms and Conditions”, and shall be binding on all participants (and the parent/legal guardian of the participant, in the case of a minor participant) who participate in this Promotion (hereinafter referred to as “Participants”, “Participant”, “You”, “you”, “your”). 1.1 This Conditions of Entry are to be read together with the Schedule to Conditions of Entry. To the extent that there is any inconsistency between the Conditions of Entry and the Schedule to Conditions of Entry, the Schedule to Conditions of Entry prevails. The Conditions of Entry and the Schedule to Condition of Entry shall collectively be referred to as the “Terms and Conditions”. Each capitalized term not otherwise defined herein shall have the meaning ascribed to such term in the Schedule to Conditions of Entry. Defined terms will be used singular or plural as the case may be. 1.2 The Organiser reserves the right in its sole discretion, without prior notice, and without any liability to any person, at any time to change the Terms and Conditions including to change the Promotion Period, make Prize substitutions, cancel, terminate or suspend the Promotion in whole or in part. In the event of any changes to the Terms and Conditions, Participants agree that their continued participation in the Promotion will constitute their acceptance of the Terms and Conditions (as changed). 1.3 The Organiser’s decision on all matters relating to the Promotion including judging and selection of winners will be final, binding and conclusive on all Participants, and no correspondence or appeals will be entertained. 2.1 By submitting an entry to the Promotion, Participants are deemed to have understood and agreed to be bound by the Terms and Conditions. 2.2 All costs and expenses incurred and/or arising from the participation in the Promotion, including without limitation, telecommunications, network, Short Messaging Services, postal and all such other charges and out-of-pocket expenses as may be incurred by a Participant during or in connection with the Promotion shall be borne by the Participant. 2.3 Proof of submission of an entry is not proof of receipt, and the Organiser shall not be liable for any delay, lost, damaged and/or non-receipt of submissions. The Organiser is not responsible for any error, omission, interruption, deletion, defect, delay in operation or transmission, communications line failure, theft or destruction, unauthorized access to, or alteration of, user or member communications, or any problems or technical malfunction of our telecommunications network or lines, computer online systems, servers or providers, computer equipment, software, failure of e-mail or players on account of technical problems or traffic congestion on the Internet. 3.1 Where the eligibility age prescribed in the Schedule to Conditions of Entry is below the age of eighteen (18), Participants are required to obtain the written consent (in such form as may be prescribed by the Organiser), from their parents/legal guardians before participating in the Promotion and submitting any personal information. 3.2 The Organiser may require a Participant to provide proof of eligibility to participate in the Promotion including without limitation, identification documents, and the written consent of parents/legal guardians in the case of Participants below the age of eighteen (18) years. (b) Employees of the Organiser’s agencies associated with the Promotion and their immediate families (spouse, children, parents, siblings, and their spouses). (b) entries that violate the Terms and Conditions, any applicable laws and/or regulations. (b) are not eligible or unable to provide proof of eligibility to participate in the Promotion for verification by Organiser when requested. 5.3 In the event of a disqualification after a Prize has been awarded, the Organiser reserves the right to demand for the return of the Prize or payment of its value from the disqualified Participant. 6.1 The Organiser, its agents, sponsors and representatives shall have no liability to any Participant who defaults in collecting the Prizes in accordance with the Prize Claim/Delivery Date in any respect whatsoever. The Organiser reserves the right to determine how uncollected Prizes will be dealt with. 6.2 Prizes are strictly not transferable, assignable, exchangeable or redeemable by the Participant in any other form or manner other than that specified by the Organiser. 6.3 Any additional costs not specifically stated in the Schedule to Conditions of Entry in relation to a Prize shall be the responsibility of the Winner. 6.4 All Prizes must be taken according to the terms and conditions of the Organiser, its agent. sponsor or third party providing the Prizes. The Organiser is not liable for any cancellation or re-scheduling that may prevent a Prize fulfilment. Tickets can only be used on the date(s) specified on the ticket. If travel is offered as a Prize, flights and accommodation are subject to availability at time of booking. The Prize must be taken in accordance with the dates and destinations specified by the Organiser, its agent or sponsors. Additional spending money, meals, taxes, valid passports, visas, transport to & from departure point additional transfers, insurance & all other ancillary costs not specifically stated in the Schedule to Conditions of Entry are the responsibility of the Winner. 6.5 Prize(s) are given out on an “as it is” basis. The Prize shall be used/taken entirely at the risk of the Participants and the Organiser excludes all warranties and liabilities in connection with the Prize to the fullest extent permitted by law. 6.6 Prizes must be claimed in person unless the Organiser prescribes other modes of collection. 6.7 Where a Participant is under the age of 18 years of age and is declared a Prize winner, the Participant must be accompanied by their parent/legal guardian throughout the Prize fulfilment. The Organiser may use a Participant’s entry including without limitation, photos, drawings, text, and any other content or information submitted for purposes of the Promotion (collectively the “Materials”), and the Participant’s name, and/or likeness, for advertising, publicity and promotion of any goods or services of the Organiser, for an unlimited time throughout the world without compensation, and in any media. The Participant shall do all things necessary to give effect to this if requested by the Organiser. The Participant agrees that all intellectual property rights in any contents and/or materials submitted, made or created by the Participant in connection with the Promotion and any derivative works arising therefrom will perpetually and unconditionally be vested in, assigned to and owned by the Organiser. The Organiser has the right to use and modify such materials or works in any way it deems fit without compensation to the Participant and the Participant waives all rights he or she may have in such materials or works. Each Participant agrees to indemnify, release and hold harmless each of the Organiser, its holding, subsidiary or related companies as defined in the Companies Act 2016 (“Sushi Kin Sdn Bhd”), directors, officers, employees, agents, sponsors and/or representatives against any and all losses, rights, claims, actions and damages (including special, indirect and consequential damages) arising from or incurred as a result of the Participant’s participation in the Promotion, acceptance of any Prize, and/or the use of the Participant’s entry and/or likeness in connection with the Promotion or violation of the Terms and Conditions. 10.1 The Participant’s participation in the Promotion shall be at the Participant’s own risk. 10.2 The Organiser, Sushi Kin Sdn Bhd, its, directors, officers, employees, agents, sponsors and/or representatives shall not be liable to any Participant in respect of any loss or damage whatsoever which is suffered, including but not limited to indirect or consequential loss, or for personal injury suffered or sustained by the Participant arising out of or in connection with the participation by the Participant in the Promotion, as well as the redemption and/or utilisation of any Prize won. 11.1 The Organiser, its agents, sponsors and/or representatives shall not be liable to perform any of their obligations in respect of the Promotion and the Terms and Conditions where they are unable to do so as a result of circumstances beyond their control and shall not be liable to compensate the Participants in any manner whatsoever in such circumstances. 11.2 Any names, trademarks or logos used and or reproduced in any materials (including marketing and promotional materials) in connection with this Promotion, in particular that relates to the Prize, are the properties of their respective owners. This Promotion and the Organiser are not affiliated with, or endorsed or sponsored by, the relevant owners, unless otherwise communicated, and such owners are not part of the Organiser’s group of companies. 11.3 The Participants shall not be entitled to assign any of the rights or sub-contract any of the obligations herein. The Organiser shall be entitled to assign or sub-license the whole or any part of its rights hereunder to any third party as may be determined by the Organiser. 11.4 The invalidity, illegality or unenforceability of any terms hereunder shall not affect or impair the continuation in force of the remainder of the Terms and Conditions of the Promotion. 11.5 Where the Terms and Conditions of the Promotion is prepared in English and any other language(s) in the event of any inconsistency between the English language and the other language(s), the English language version shall prevail and govern in all respects. 11.6 The Terms and Conditions of the Contest shall be construed, governed and interpreted in accordance the laws of Malaysia. 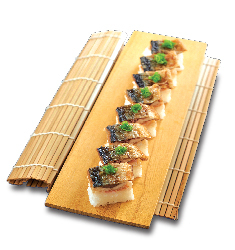 12.1 By participating in the Let’s Visit Kyushu!, You consent for Sushi Kin Sdn. Bhd. and any of its holding, subsidiary or related companies as defined in the Companies Act 2016 and service providers, agents and contractors who provide administrative and business support to us and act on our behalf (“Authorised Third Parties”) (collectively “Organiser”, “us”, “we” or “our”) to process your personal information provided in the contest forms for purposes of the Let’s Visit Kyushu! .This includes disclosing your name to the general public when you become a winner in a contest or participate in our events by publishing your name, photographs and other personal information without compensation for advertising and publicity purposes. 12.2 The Organiser may also use your personal information for purposes of contacting and sending to you marketing and promotional information or materials about our products, services, samples, any promotions, events or contests organised by the Organiser. Please indicate your option on the form if you agree to the use of your personal information for this purpose. 12.3 In the event that you agree to share and disclose personal information of a person whom you intend to refer to the Organiser, you acknowledge that you have obtained the consent of that person to share and disclose his/her personal information to us and to being contacted by us. 12.4 In respect of minors or individuals not legally competent to give consent, you confirm that they have appointed you to act for them and, to consent on their behalf to the processing of their personal information in accordance with this privacy notice. 12.7 To the extent that the applicable law allows, you have the right to request for access to, request for a copy of, request to update or correct, your personal information held by us. 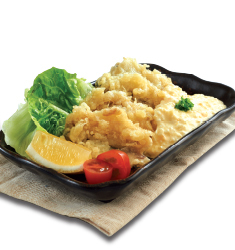 Deep-fried Japanese horse mackerel with Japanese-style tartar sauce. 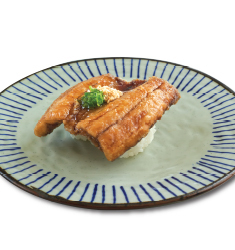 Pan-fried Atlantic pike with sweet sauce. Pan-fried Atlantic pike with sweet sauce, white sesame seed and spring onion. 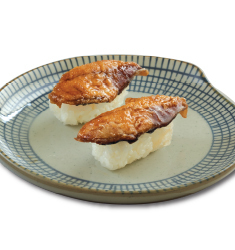 Pan-fried Atlantic pike with sweet sauce, pickled ginger, white sesame seed and spring onion. 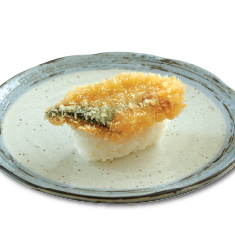 Deep-fried Atlantic pike and vegetables with Japanese-style tartar sauce. Japanese flat wheat noodles, Japanese horse mackerel tenpura, prawn tenpura, sweet beancurd skin and long beans served in soybean-based soup. 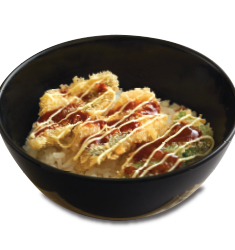 Rice with deep-fried Japanese horse mackerel with spicy sauce and mayonnaise. 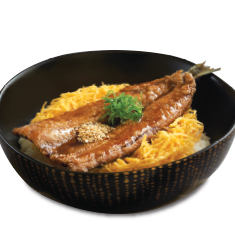 Rice with pan-fried Atlantic pike with sweet sauce, shredded egg, white sesame seed and spring onion. 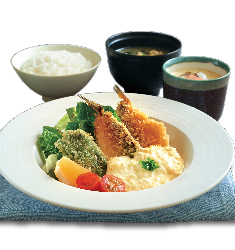 Deep-fried Japanese horse mackerel and vegetables with Japanese-style tartar sauce. 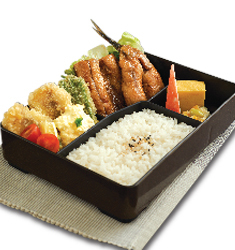 Deep-fried Japanese horse mackerel and vegetables with Japanese-style tartar sauce, prawn and chicken tenpura. 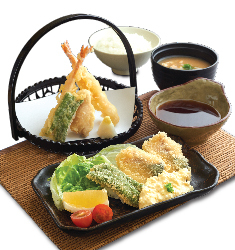 Deep-fried Japanese horse mackerel and vegetables with Japanese-style tartar sauce, and pan-fried Atlantic pike with sweet sauce, served with edamame salad, omelette and crabstick.